What does the word Barabara mean? Definition: A Barabara was an oblong shaped, semi-subterranean, sod-covered, arched-roofed, communal structure. 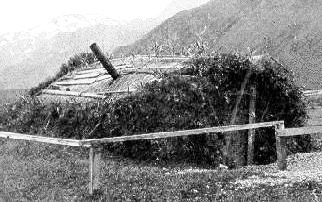 It was similar to the well insulated pit houses built by other Native American Indian tribes. 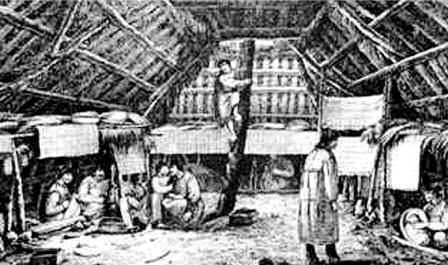 The barabara varied in size but were built to house an average of twenty people. The name of this type of house derives from the Greek word 'baraboras' meaning "foreign, barbarian" and the name was first used by Russians who explored the Aleutian Islands in the 1700's.